Article Excerpt: "... Three employees, each with decades of service to the USPS, received awards for traveling two-million accident-free miles on their routes. ..."
Huntsville Mail Processing Facility Closure: Is this our future? As we have reported, the US Postal Service has decided to close the Huntsville Mail Processing and Distribution Facility on Wall Triana. The Postal Service has already taken the historic Huntsville Postmark away from our city and now wants to shutter the mail processing facility for good. We are in fear that we may be faced with the same severe mail delays as found in the following article: Mail Processing Facility Closure "utter disaster" says.... Contact your Congressman and City Council to request that the facility remain open, as it is essential to our community. As unbelievable as it may seem, the U.S. 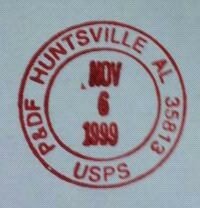 Postal Service is attempting to consolidate outgoing mail operations away from the Huntsville Processing and Distribution Facility in Huntsville. Unbelievable, because the Postal Service's consolidation study identifies potential delays in mail service if the consolidation takes place. Unbelievable because Huntsville is growing by leaps and bounds, as the BRAC moves to the Rocket City have only just begun. Unbelievable because the Postal Service attempts to convince the community that there are an excess number of employees while at the same time it is rumored that the personnel at the facility work extensive amounts of overtime to process the mail in a timely manner. There are other things to be considered in this decision making process that the USPS officials have carelessly not taken under consideration. As stated before, Huntsville is a growing and proactive city with little crime and is well maintained, while Birmingham has infrastructure issues that have an impact on transportation safety. Huntsville has an upgraded interstate lighting system that is well maintained while Birmingham continues to ignore the lighting issues that add safety problems to a partial consolidation from Huntsville to Birmingham. Moving outgoing mail operations from Huntsville to Birmingham would put more mail on less safe roads, possibly causing even more mail delays in the event of accidents ...not to mention the litigation cost factor that the Postal Service might have to absorb by making a decision that has ignored this added safety issue. Although Birmingham plans to repair interstate lights, it's not the first time the issue has been addressed, "Birmingham committed $700,000 to replacing and maintaining the interstate lights in February 2009 during the Larry Langford administration, but the project has languished since then." That is a lengthy amount of time to ignore such a major safety issue! The move will alter mail truck routing, sending trucks normally bound for the Huntsville Processing and Distribution Facility, to Birmingham. This in itself will cause higher transportation costs and the possibility of more accidents involving trucks headed to Birmingham. 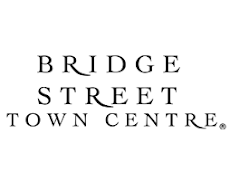 As touched on earlier in this article, Huntsville is a growing city, especially considering the BRAC moves taking place in the City of Huntsville which have not yet fully impacted the area. However, in comparison, the Birmingham population growth change lagged the national growth rate in the past decade of 9.7 percent. It also lagged the average growth rate in the Southeast region of the United States of 14.3 percent. It must also be taken into consideration that the Huntsville Processing and Distribution Facility actually is on the border of Madison. Census Figures Show Madison Fastest-Growing City In State, posting a 59.7 percent growth rate, up from 14,792 residents in 1990 to 23,620 residents in 1996. On the flip side of the coin, these latest official population estimates show the city of Birmingham continuing to lose in the numbers game. This is something the USPS studies have seemed to ignore. What can you do to help prevent this damaging proposal from becoming a reality? You can either attend the meeting to discuss this "consolidation proposal" or mail your comments opposing this move. There is an upcoming meeting to discuss this proposal. The meeting is scheduled for Thursday, March 3 at 7 p.m. at Decatur Utilities, located at 1002 Central Parkway SW in Decatur. The biggest fear is that if the consolidation proposal is implemented, the full damage caused by the action will not be realized in the community until after the consolidation goes into effect. Help stop this flawed action by taking action now! Is the Postal Service considering moving mail processing operations out of the Rocket City?